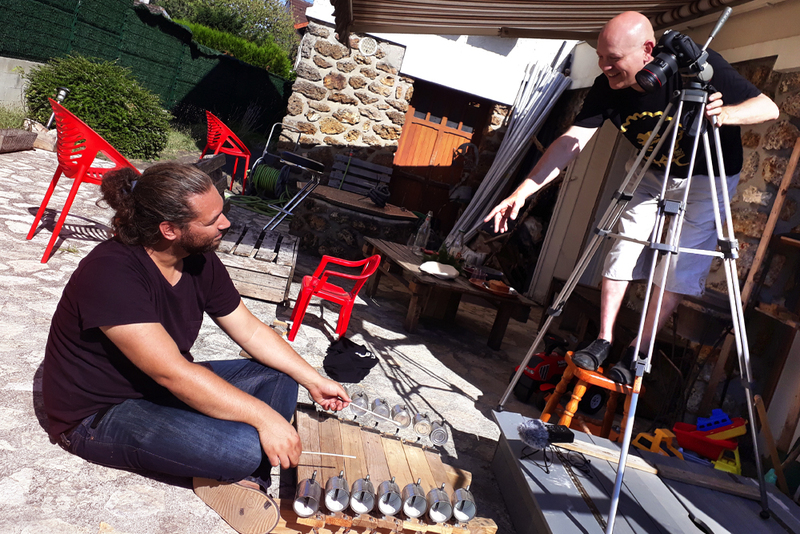 We’re in France, taking the opportunity to meet and record the incredible multi-instrumentalist Nicolas Bras from the website Rare and Strange Instruments. 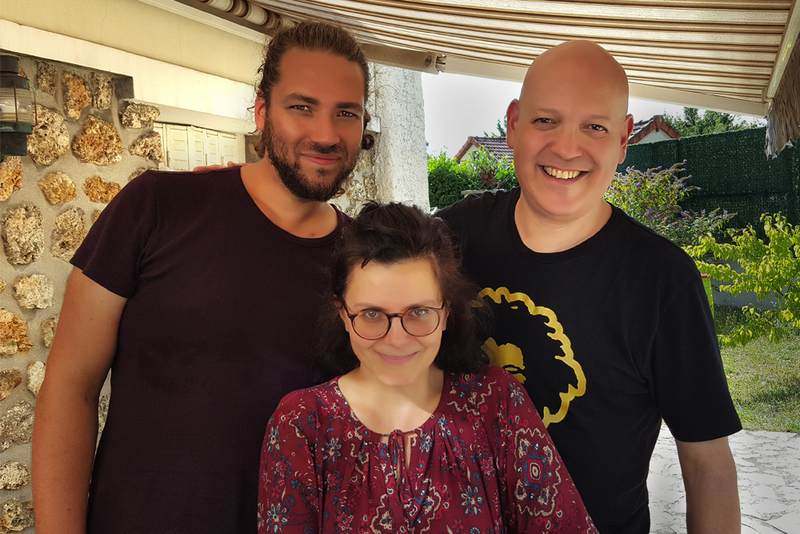 We’d both become aware of each other and our respective projects in the last couple of years, realising we also know a lot of people in common… so heading over to Paris seemed the natural thing to do! 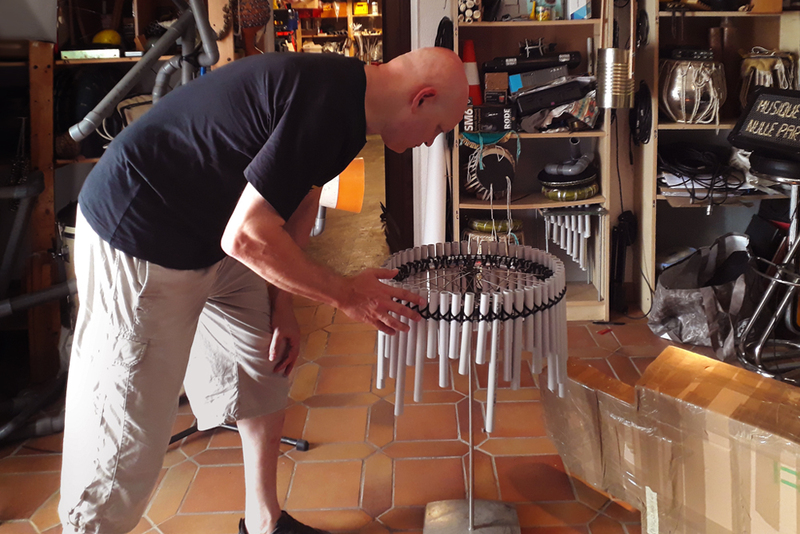 His rather well known Facebook page now has over half a million followers and (in his words) is “dedicated to every unusual, creative, traditional, forgotten, experimental and original musical instrument”. You’ll no doubt know someone who follows his page and a short video posted there of someone on a mountain playing a bizarre instrument has surely turned up in your feed at some point! 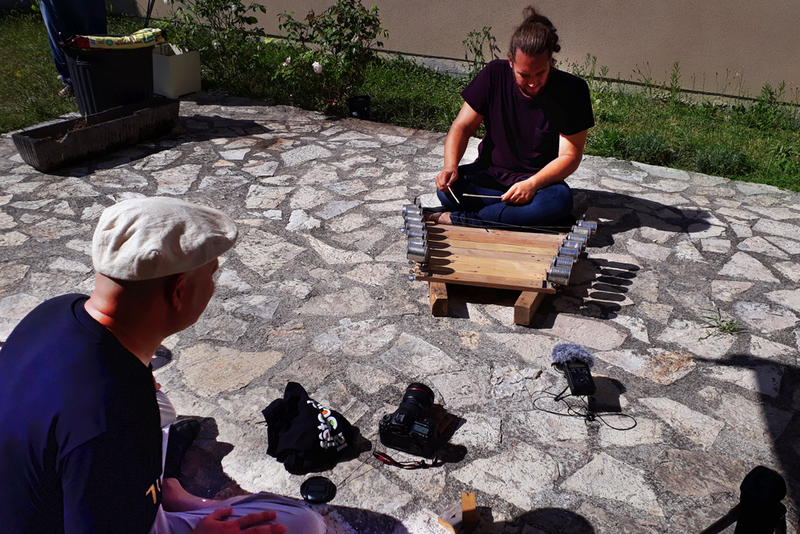 Nicolas plays a whole range of styles, from traditional percussion, jazz and world to maloya – the renowned music of the Réunion Island (the French territory in the Indian Ocean, just east of Madagascar – where, as he happens, in 2011 we also recorded for Orchestra of Samples). Nicolas actually began his musical adventure as a small child aged only 4! Soon turning his attention more seriously to playing guitar aged 6, and later to percussion when he was 14, then after a stay in India to study tablas when he was 19, he decided to fully commit to a career as a musician. 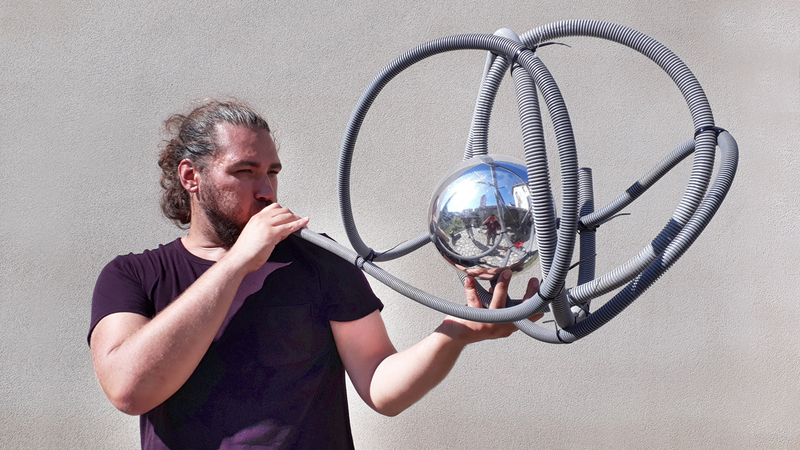 After graduating in 2008, he worked as a guitar teacher and musician, also running workshops on instrument building, all the while continuing to explore his fascination with constructing his own musical and sound objects. 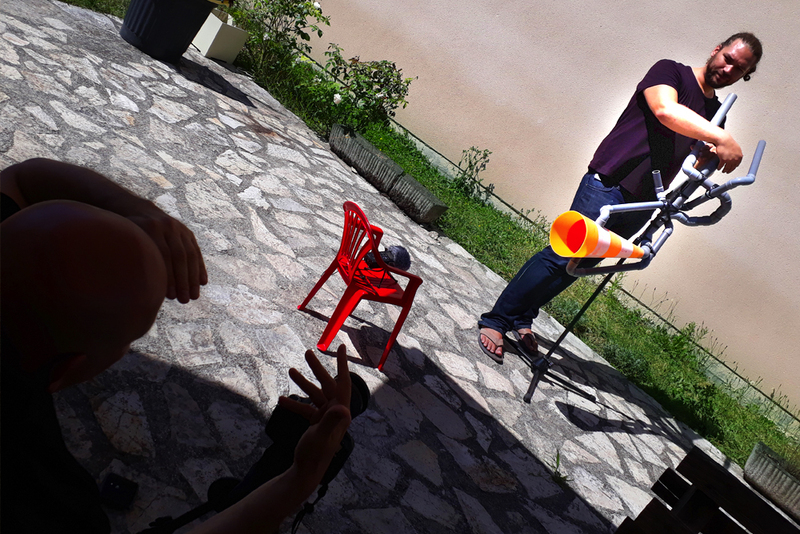 In 2010 Nicolas decided to devote himself full-time to his project “Musiques de Nulle Part” (‘Music of Nowhere‘), setting up his website, performing, giving talks, and holding workshops on making surprising music from repurposed materials and recycled and discarded objects. 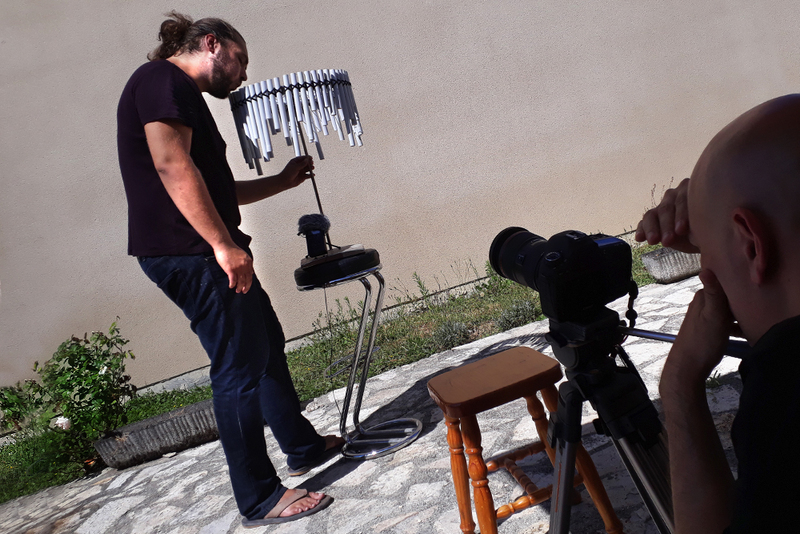 These home-made creations are always inspired by traditional instruments of the world and its cultures but are anomalies and departures from the real thing, hence they’re instruments of nowhere, as Nicolas calls them. He’s now made over 1000 instruments (out of more than 600 metres of piping! ), displaying them in over 20 exhibitions and more than 100 personal performances. He’s toured internationally, given a TEDx talk, held workshops for Bjork, collaborated, toured and worked with the likes of artist Nathalie Loizeau, sculptor Fokou Dieudonné, Guyanan cultural body Canopée des Sciences in South America and the famous West African flutist, composer and multi-instrumentalist Simon Winsé, with who he helped create a music school in Lankoé, Burkina Faso. Very active online, be sure to check out this ultra-busy French artist’s various social media and video channels! Visit him on Facebook and Youtube.